Behind the Story: "The One-Woman Band"
The heroine of this story is a quiet, poor, solitary, hard-working washerwoman. One day, a spark in her heart is lit when she discovers an abandoned accordion. Can she learn how to play her instrument? Will others appreciate her music? Let me take you behind the story of the funniest story in my collection of audio stories for children: Wonder Stories. Behind the Story: "The Donkey and the Falcon"
Hear the story-behind-the-story of my favorite track in my new Wonder Stories collection. Behind the Story: "Amelia: The Mouse Who Wanted to Fly"
Hear the story-behind-the-story of one of the most popular tracks in my new Wonder Stories collection. 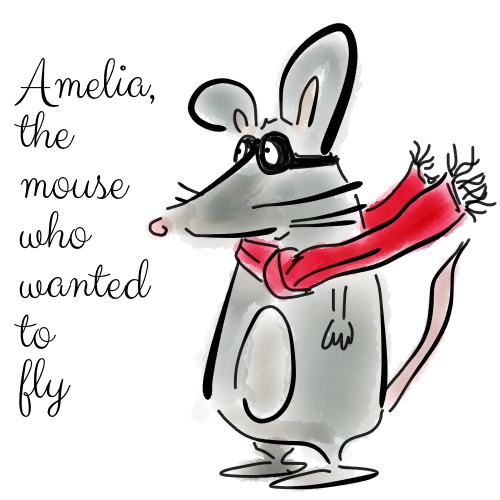 Amelia is a plucky young mouse with a big dream: to fly through the sky. Not easy for a mouse living a humble life on the forest floor. Thankfully, Amelia is equally resourceful, creative and determined.